I’ve always been a huge fan of Canadian music. As a student I would spend whatever savings I had on concert tickets. It didn’t always have to be front-row, I just had to be there! But there was one band I never had the chance to see. Bad timing and then before I knew it the band split up. But then one magical summer night while I was managing the social media team for Ottawa Bluesfest I finally had the great pleasure of seeing The Tea Party perform live, the last Canadian band from the 2000s I needed to see. So you can imagine my great excitement when I was asked to work on the Stars in the Sand tour as The Tea Party’s lead singer Jeff Martin made his way around Morocco with an intimate group of fans. 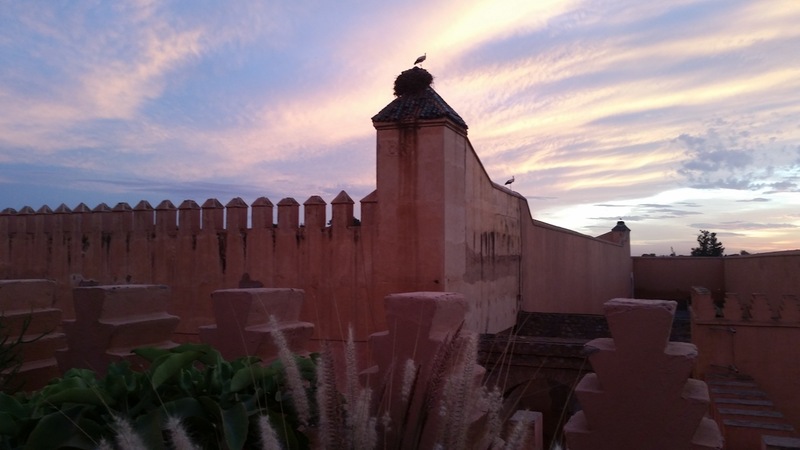 We watched the sun set over the Marrakech medina while chatting about summer in Canada. 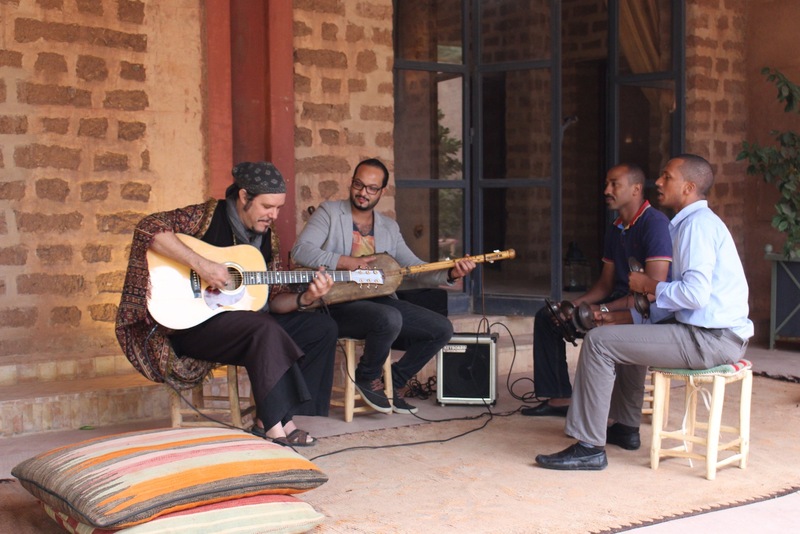 After listening to the rehearsal backstage with a local Gnaoua band, ten of us listened to Jeff’s acoustic performance including The Messenger in a ksar before fusing with a Gnaouis. 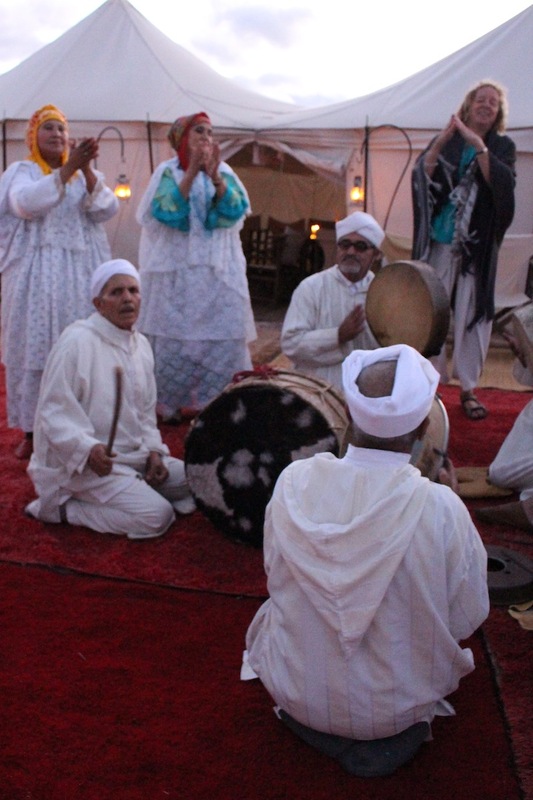 There was tribal music and dancing in the desert. 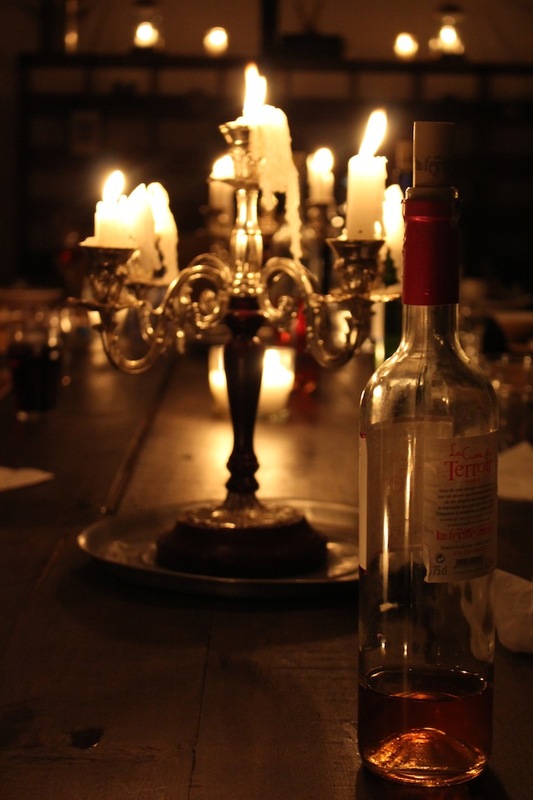 And a candle-lit dinner in the Agafay desert with the most mouth-watering cuisine (and bottles of rose). 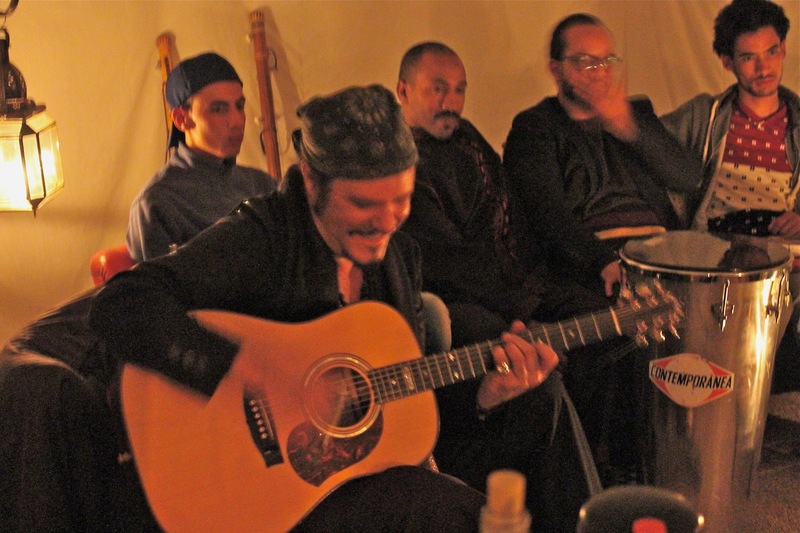 Before Jeff performed with both the Gnaoua and Amazigh bands he met and practiced with earlier in a tent in the desert. And as we bumped in to each other at a petrol station en route to the airport, we said our final good-byes. Me beyond delighted to have worked with a rock star. If only for a weekend! The Stars in the Sand tour was organized by Travelling My Way Tours and 93 Management in Australia and Sheherazadventures in Marrakech.